Bhubaneswar: Vice President of India, Shri M. Venkaiah Naidu has said that doctors must be trained to be more sensitive to the sufferings of patients. He was addressing the first convocation of All India Institutes of Medical Sciences, in Bhubaneswar, Odisha today. The Governor of Odisha, Shri Ganeshi Lal, the Union Minister for Health & Family Welfare, Shri J.P. Nadda, the Union Minister for Petroleum & Natural Gas and Skill Development & Entrepreneurship, Shri Dharmendra Pradhan, the Minister for Health & Family Welfare, Odisha, Shri Pratap Jena and other dignitaries were present on the occasion. The Vice President lauded the contributions of former Prime Minister, Shri Atal Bihari Vajpayee, who laid foundation for the institution and remembered his memories with the leader. The Vice President asked the doctors to be abreast with modern methods and latest trends in their fields of specialization. He further said that they should focus on disciplines such as family and community medicine. This will help in providing comprehensive health care for people of all ages in families and communities, he added. The Vice President said that schemes such as ‘Ayushman Bharat Yojana’ or the ‘National Health Protection Scheme’ will be a game-changer in terms of accessing healthcare services in India. He asked doctors to give their best to make these schemes a success so that no needy or deserving person is denied medical treatment at the right time. The Vice President said that Medical Education curriculum has to be constantly updated by including the latest developments and methods of treatment. Highlighting on the need to accord priority to primary healthcare and tertiary healthcare, the Vice President said that there is a need to increase the number of doctors available at health care centres residing in rural areas. It should be mandatory for young doctors to serve at least two-three years in rural areas before considering promotions for them, he added. 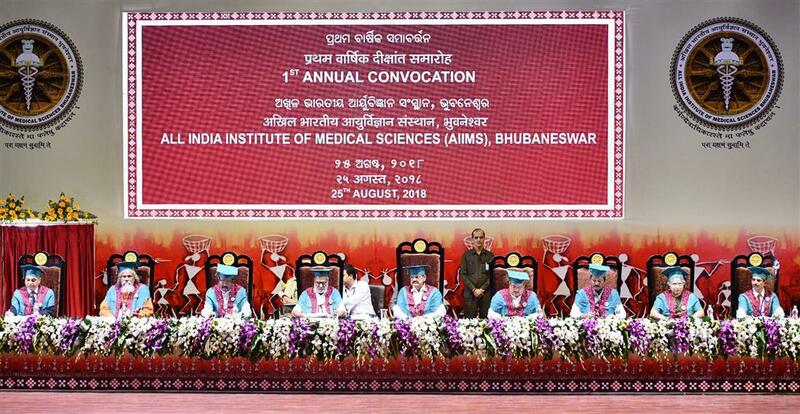 “It gives me great pleasure to be a part of the first convocation ceremony of AIIMS Bhubaneswar. The first convocation of any institution is an important milestone as it signals the culmination of training of the very first batch of students which reflects that the institution has come into its own. I congratulate all the students graduating today on this glorious occasion. You have made your parents and teachers proud! I convey my best wishes to all of you on your future plans. AIIMS Bhubaneswar is one of the six new All India Institutes of Medical Sciences established by the Ministry of Health and Family Welfare under the Pradhan Mantri Swasthya Suraksha Yojna which was announced in the year 2003, to address the regional imbalances in tertiary healthcare. 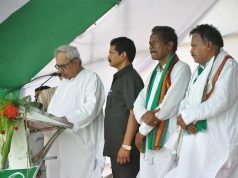 The then Prime Minister Shri Atal Bihari Vajpayee laid the Foundation stone on July 15th 2003. The institute welcomed its first batch of 50 MBBS students on 21stSeptember 2012 and first batch of 60 Nursing Students on 1st September 2013, all of whom graduate today. I am very happy to note that this is the first among the six new AIIMS institutes to hold its convocation. Odisha is a state rich in culture and tradition and I am pleased to see the graduating students and the members of the academic procession wearing locally sourced ethnic robes so tastefully designed to reflect the rich tradition of handloom textiles, a hallmark of this state. The first batch of students is always remembered fondly by the faculty and staff as they are path-breakers in every sense. They establish the standards, norms, the climate and culture of the institute and are always held in high esteem as an example to other batches of students. I am sure, the 2012 batch of MBBS students and the 2013 batch of Nursing students of AIIMS Bhubaneswar are no different and proud trendsetters for others to follow. The high standards of medical and nursing education set by AIIMS Bhubaneswar has paid off since 35 of the 50 students comprising the first batch of MBBS, have cleared their Post-graduate entrance exams with flying colours and have joined institutes of national importance like AIIMS New Delhi, PGI Chandigarh and JIPMER. Many of them have returned to their alma mater for post-graduation. I am told that AIIMS Bhubaneswar was ranked the Best Public Hospital in Eastern India by a news magazine in November last year and also rated the best specialty hospital in the twin cities of Cuttack and Bhubaneswar. This indeed is a wonderful recognition of the excellence achieved by a relatively new institution which has competed against many other established institutions. I am told that AIIMS Bhubaneswar also bagged the 2nd prize for category B hospitals in the Kayakalp awards for maintaining cleanliness of the hospital. This could only have been accomplished by good teamwork and a commitment for cleanliness by each and every member of the institution. Upkeep and maintaining cleanliness of a hospital is extremely important and I would like to compliment every employee for the commitment towards ensuring cleanliness. The Swachh Bharat scheme is a revolutionary step in the right direction. It has brought cleanliness to the forefront. Cleanliness is the basic requirement to maintain general health and transform the country into ‘Swasth Bharat’. I am also informed that this institution has the maximum number of faculty and senior residents amongst the six new AIIMS. It also has the highest footfall of patients on a daily basis as well as in-patients. I am also happy that a number of specialty and superspecialty courses are being added which I am sure will cater to the health needs of the people, particularly the underserved masses. It is heartening to learn that NALCO has committed to establish a 560-bedded night shelter, costing Rs. 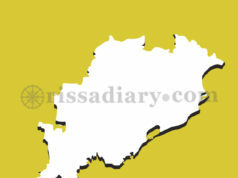 26 crores and NTPC is setting up a state-of the-art burns centre at Rs.21 crore. While commending NALCO and NTPC, I request other companies and public sector establishments to contribute towards expanding the facilities in the institution as part of Corporate Social Responsibility. Dear sisters and brothers, as you all aware, there is shortage of physicians, other specialists and nurses in the country and we need to increase the number of medical colleges as also expand medical services to every nook and corner of the country. Although, the government is doing its best in this regard, the corporate sector and NGOs must come forward to supplement the efforts of the government. We need to overcome the acute shortage of health providers as also the infrastructure in rural areas. It is a matter of concern that the absence of qualified medical practitioners is making people to go to quacks. Highest priority has to be accorded to strengthening primary healthcare and tertiary .We need to increase the number of doctors available at health care centres residing in rural area. It should be mandatory for young doctors to serve at least a year or two in rural areas before considering promotions for them. Ensuring uniform distribution of healthcare services remains one of the biggest challenges owing to the regional, cultural and socio-economic diversity in India. The lop-sided growth of health infrastructure with rural areas lagging behind their urban counterparts has to be ended. We need to bridge the gap between urban and rural areas in providing state-of-the-art healthcare services and this is where the private sector can play a more pro-active role. I would also like to emphasise the importance of medical ethics. In the modern, fast-paced world, doctors are treating patients in a business-like and matter-of-fact fashion with elements like compassion and empathy missing. We must train a new generation of doctors to be more sensitive to the sufferings of patients and their families and provide the healing touch with effective communication. There can be no greater service than restoring fellow human beings to good health. Medical education curriculum has to be constantly updated by including the latest developments and methods of treatment. Doctors have to keep abreast with modern methods and latest trends in their fields of specialisation. We also need to focus on disciplines such as family and community medicine. This will help in providing comprehensive health care for people of all ages in families and communities. 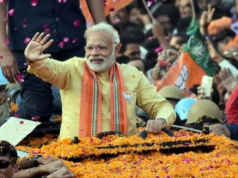 In a bid to ensure quality health care services to the poor, the Central Government has proposed to implement ‘Ayushman Bharat Yojana’ or the ‘National Health Protection Scheme’. This will be a game-changer in terms of accessing healthcare services in India. AIIMS Bhubaneswar will be one of the empanelled institutions providing care. Each and every one of you must give your best to make these schemes a success so that no needy or deserving person is denied medical treatment at the right time. Remember that the government can only provide the infrastructure, buildings, equipment, books and support. But what happens within these walls is entirely upto the administration, the faculty, the residents and students. It is upto you to make it a world class institution or a mediocre institution. It is upto you to use the funds judiciously and the equipments to their optimal levels. I am sure all students of AIIMS Bhubaneswar will exhibit the highest level of professionalism and ethical behaviour in all their professional dealings and treat patients who come to the doors of this hospital with kindness, compassion and empathy. I would like to compliment the faculty of AIIMS Bhubaneswar for building the institute from the scratch through their hard work and dedication. As mentors, you have a crucial responsibility in guiding the new generation of doctors, nurses and technicians onto the right path and serve the country in a selfless manner. I would also like to appreciate the efforts of AIIMS Bhubaneswar in catering to the needs of patients through its outreach services at Mendhasal, Nayapalli, Tangi and Balasore, which contribute to about 12-15% of the patients being treated as outpatients. I wish each and every one of you all the very best as you venture out into the world from your alma mater. I hope you will emerge as front runners in the national effort to provide quality health care to all our citizens.